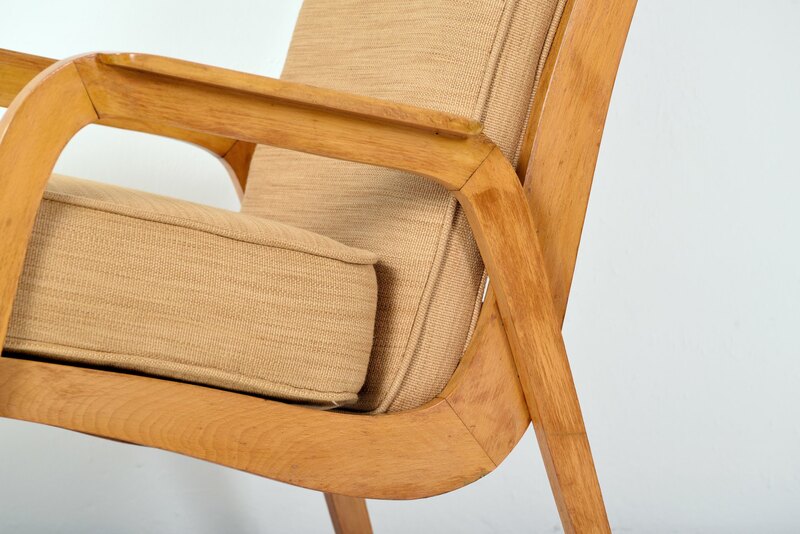 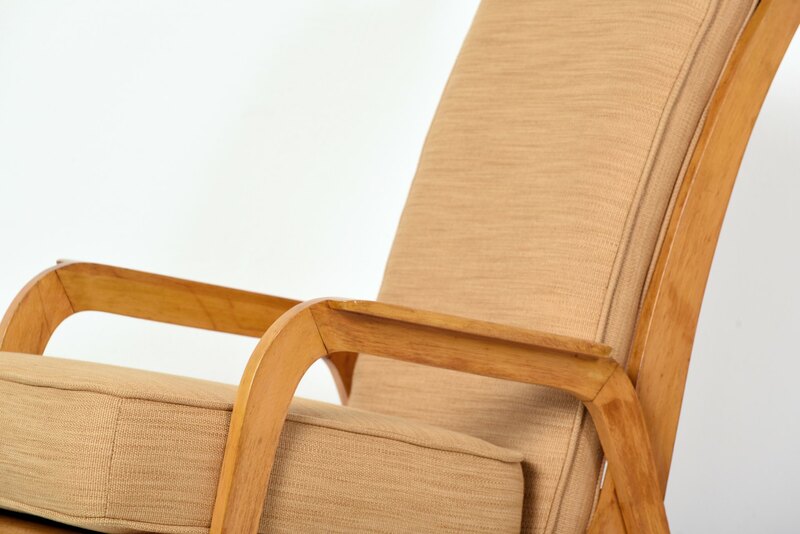 The natural, clear lacquered beech frame harmonizes very nicely with the yellowish cover of the pillows. 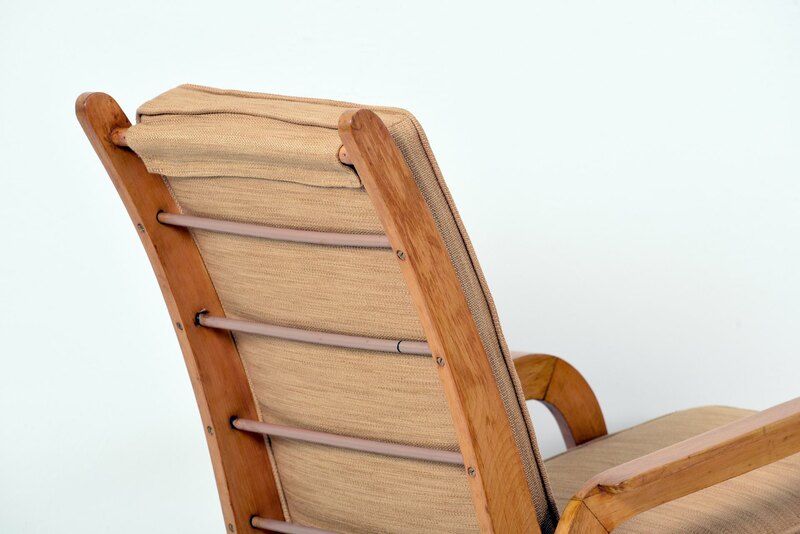 The high backrest offers a special seat comfort. 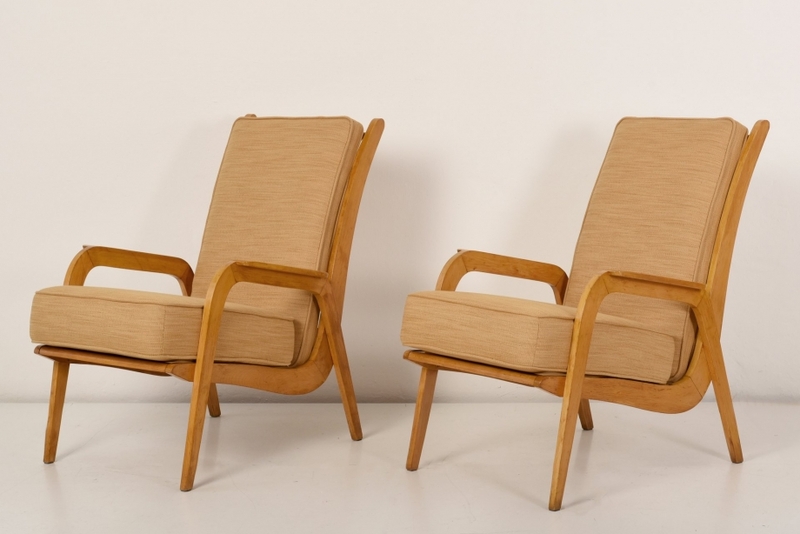 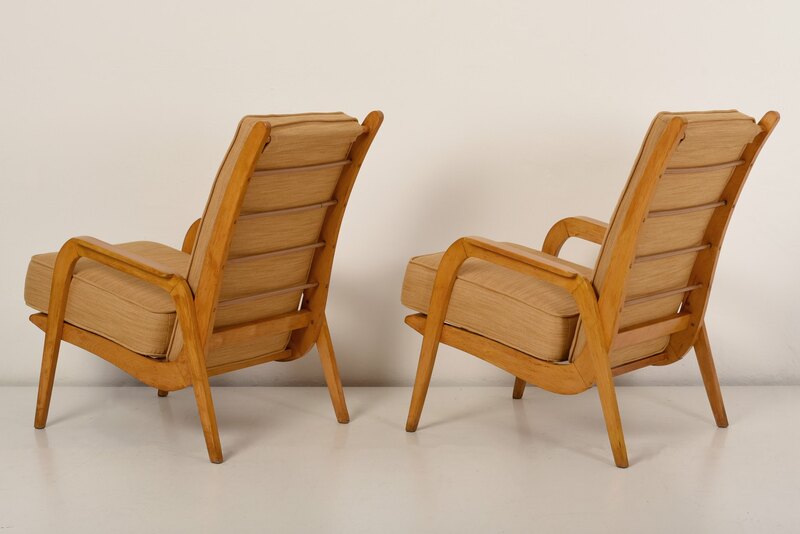 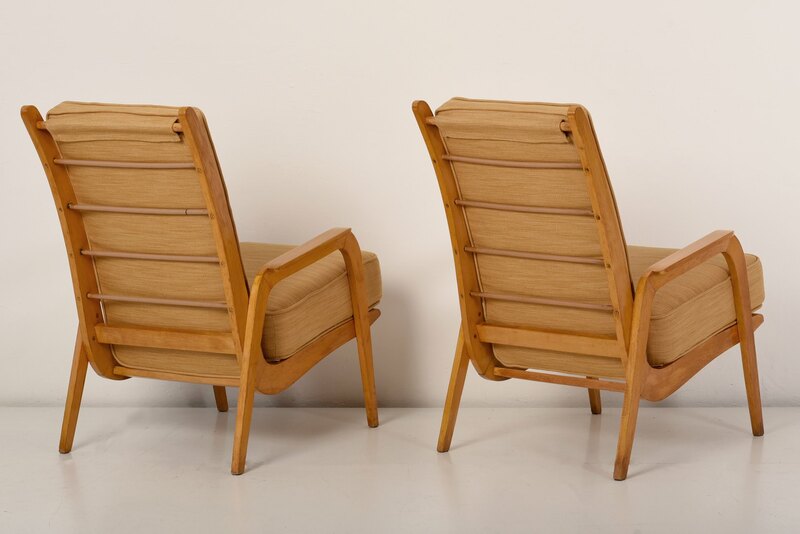 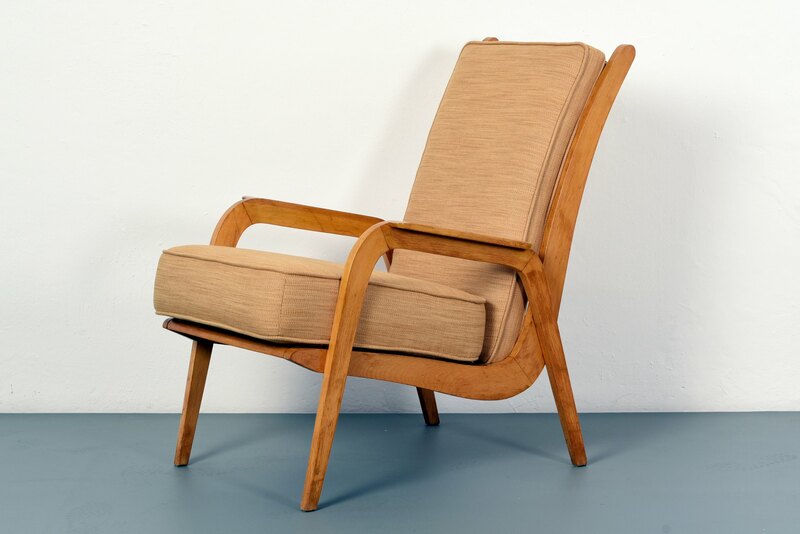 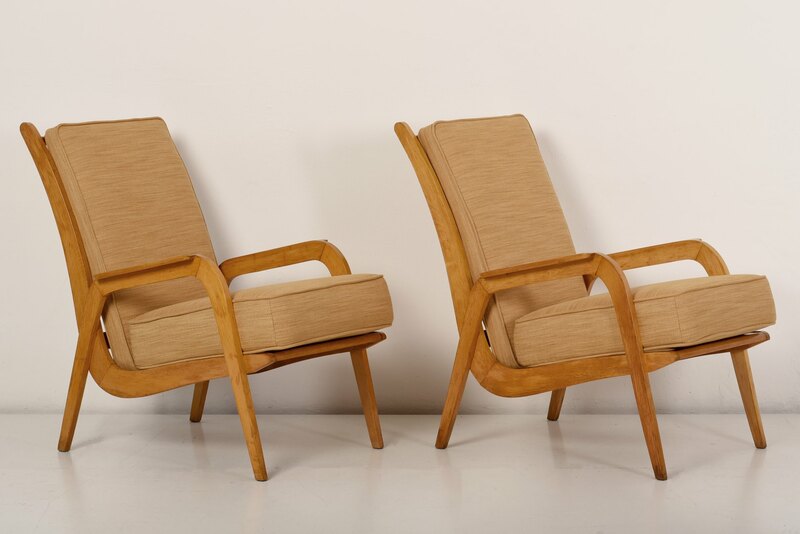 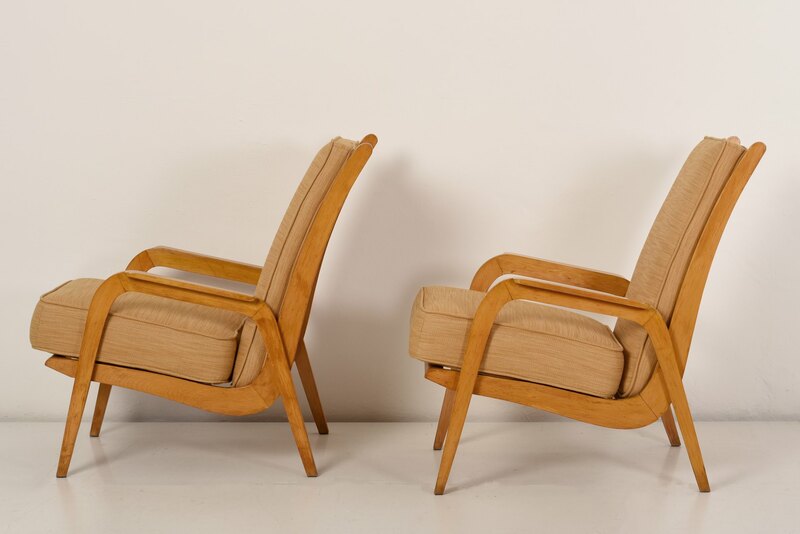 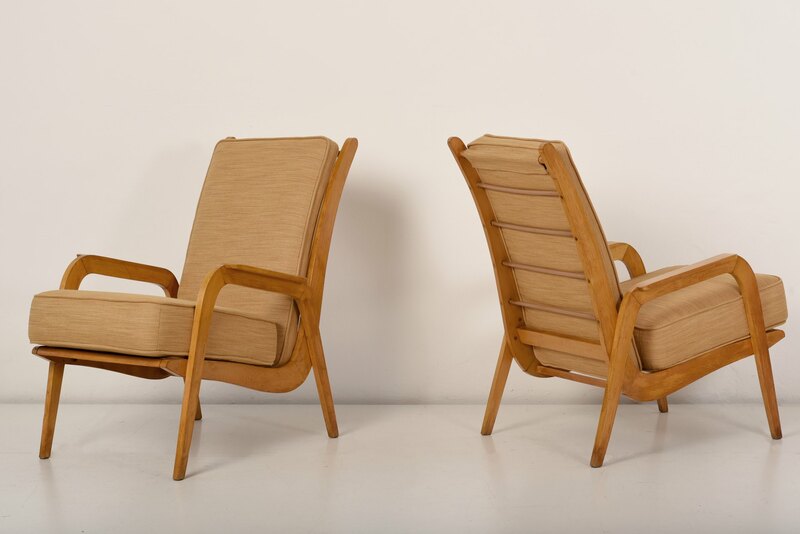 An extremely rare seating furniture of the early 1950s.